The Chapel Hill Transit system needs about $80 million in revenue to keep up with growth over the next ten years. The service is currently free for riders. But Chapel Hill Transit director Brian Litchfield says riders pay for the service in one way or another. "It's more of a prepaid system where students are paying through their student fees, and then of course those of us taxpayers who live in Chapel Hill-Carrboro are paying through property taxes, vehicle registration fees and other ways," Litchfield says. 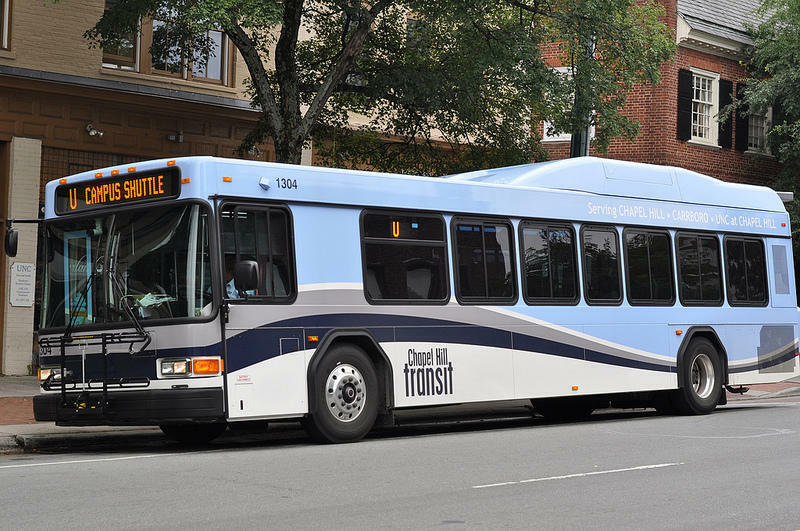 Chapel Hill Transit carries up to 30,000 people a day when the university is in session. "Our ridership has kind of plateaued over the last few years because we've really not been able to add service. And the other challenge is with the age of our fleet, we've not been able to put out additional buses to meet overcrowding or capacity issues," Litchfield says.